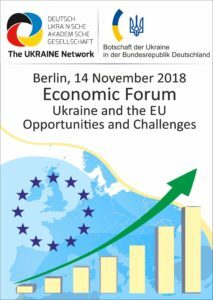 The purpose of this Forum is to bring together academic scholars from Ukraine and other European countries, as well as experts and practitioners to discuss the current economic situation in Ukraine. 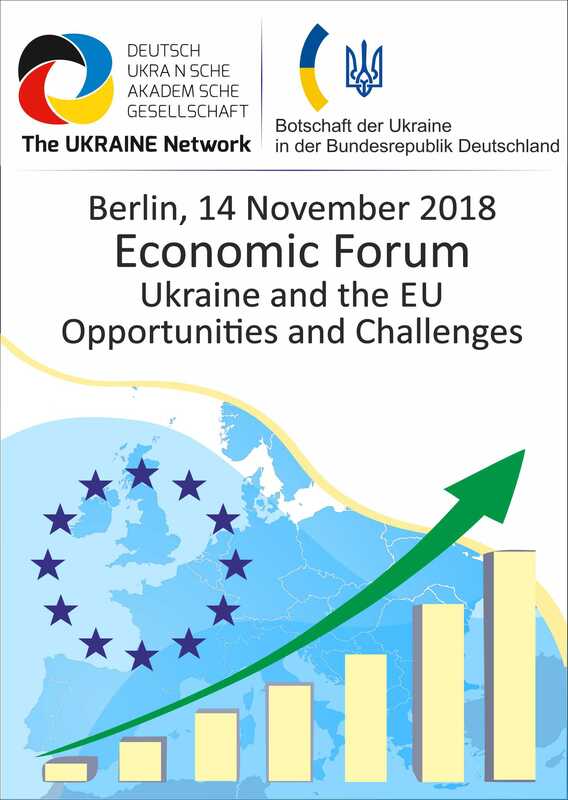 The objective is to exchange the ideas and to formulate a theoretical-methodological and empirical basis for choosing a strategy for reforms in the Ukrainian economy to ensure macroeconomic stability and social progress in the context of Ukraine’s entry into a single European space. How did the Association Agreement with the EU affects the economic development of Ukraine? What problems does Ukraine have in adopting the European regulatory system and implementing European legislation? What role do EU countries play in Ukraine’s foreign trade? How did the structure of the labor migrants’ flow transforms EU member states? What are necessary steps for Ukraine in order to increase the chances for success of the Ukrainian government in the process of reforms? If you have any questions concerning the event, please do not hesitate to contact us (economic.forum.ua@gmail.com). 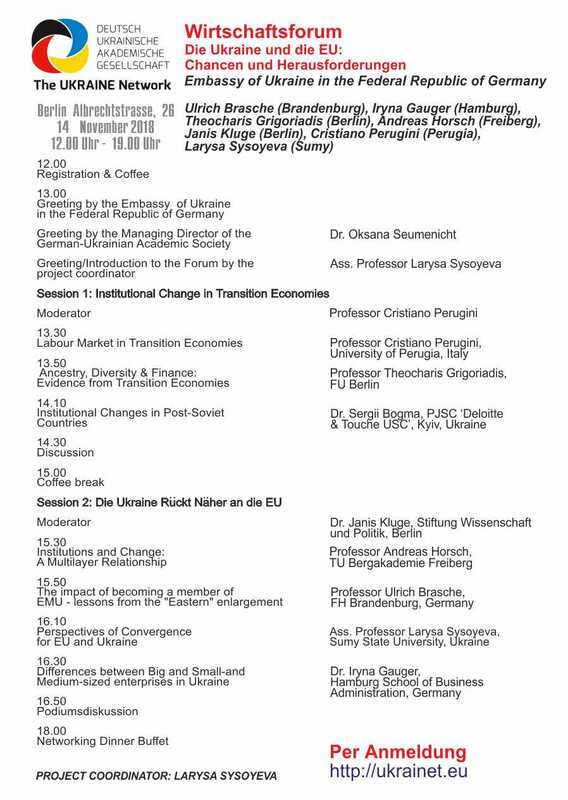 This Forum is organized by the German-Ukrainian Academic Society and is supported by the Embassy of Ukraine in the Federal Republic in Germany.